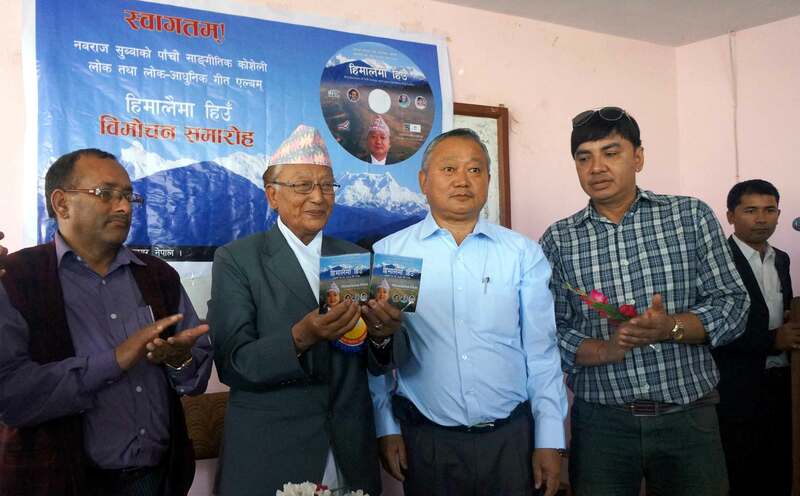 ‘Himalaima Hiun’ folk song album collected by Nawa Raj Subba has been released. Senior Singer L.P. Joshi released the fifth musical album of Subba in a ceremony at Biratnagar. Folk tunes of Eastern nepal and Limbu culture are included in the album. Artists, writers, journalists were present in the ceremony. Nawa Raj Subba, Parash Mani Baral, Sumit Khadka and Sajan have sung in different five songs of the album.